“Jurassic World” star Chris Pratt is no stranger to giving acting advice, and taught Conan O’Brien how to act like a movie star on Thursday night. While discussing his latest role, Pratt explained that when it comes to acting, less is more. “The worst thing you can do is overact,” he said. 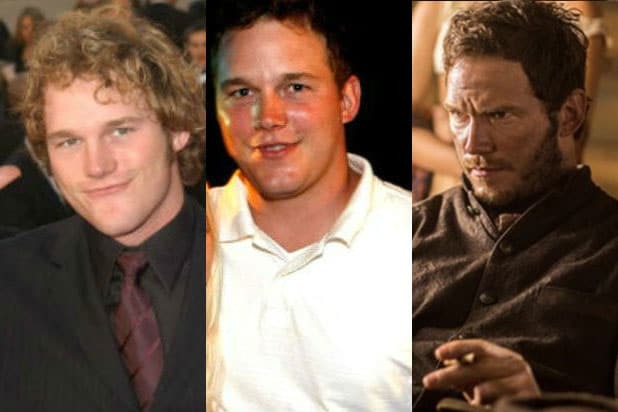 Pratt proceeded to demonstrate all “three” faces he made for reaction shots in the movie for expressing fear, love and pure joy. Audiences can head to movie theaters this weekend to watch the latest “Jurassic Park” sequel, and find out if Pratt isn’t kidding. Pratt’s display of emotion follows his “Jurassic World” co-star Bryce Dallas Howard‘s appearance on “Conan,” where she revealed her ability to cry on command, and got all choked up about Home Depot. Chris Pratt goes from lovable goofball on "Parks and Recreation" to hunky stud in "The Magnificent Seven." Pratt, sporting a mighty mop of hair, in one of his early headshots. Pratt during his years as Bright Abbott on WB show "Everwood." Pratt with his now ex-wife, Anna Faris. The two were married in Bali in 2009. Pratt endeared himself to viewers as lovable goofball Andy Dwyer on "Parks and Recreation." Pratt proved himself a capable dramatic actor in 2011's "Moneyball." The selfie that started it all. Pratt as he prepared for his role in "Zero Dark Thirty." Pratt returned to comedy with his mustached turn in the 2013 Spike Jonze film "Her." Pratt lent his voice to the lead character Emmet in the megahit 2014 film "The Lego Movie,"
Pratt's career went into the stratosphere with his leading role in 2014's Marvel blockbuster "Guardian of the Galaxy." Pratt keeps himself grounded with now ex-wife Anna Faris and young son Jack. Pratt had another blockbuster on his hands with the release of "Jurassic World" in summer 2015. Antoine Fuqua's "The Magnificent Seven" hit theaters in September 2016, with Pratt as a hunky sharpshooter who is obsessed with card magic tricks. In December 2016, Pratt starred alongside Jennifer Lawrence in the sci-fi romance "Passengers" about two people aboard a troubled spaceship. Pratt reprised his role as Star-Lord in "Guardians of the Galaxy Vol. 2" in 2017. On Aug. 6, 2017, Pratt and Faris announced their separation. On Dec. 1, Pratt filed for divorce. He then also starred in "Avengers: Infinity War." This weekend, he will reprise his role as Owen Grady in "Jurassic World" Fallen Kingdom."